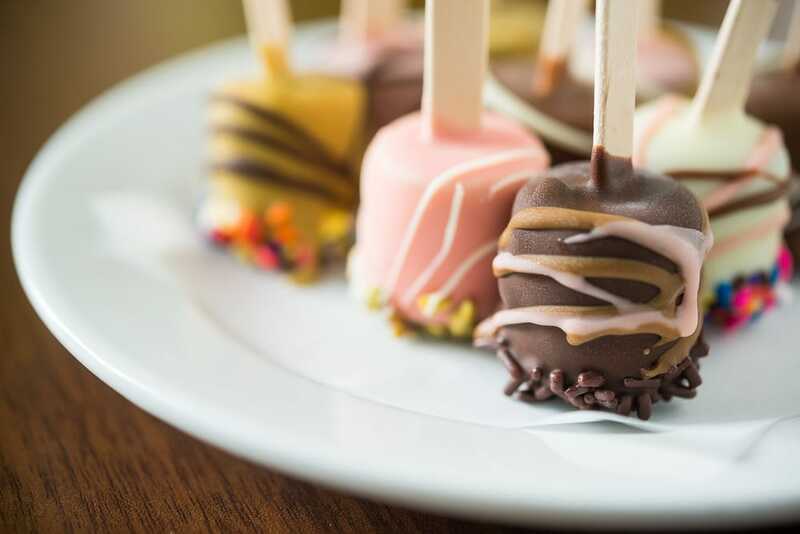 Story Hoodline — Not all frozen treats are created equally, and when it comes to where to get a quality scoop of ice cream, gelato or frozen yogurt, you deserve the best. But because Washington D.C. has a mind-boggling number of options from which to choose, finding the top spots can be a challenge. To help, we crunched the numbers to find the top frozen treats spots around the city, using both Yelp data and our own secret sauce, to produce a ranked list of the area’s best places to score a tantalizingly delicious frozen treat. 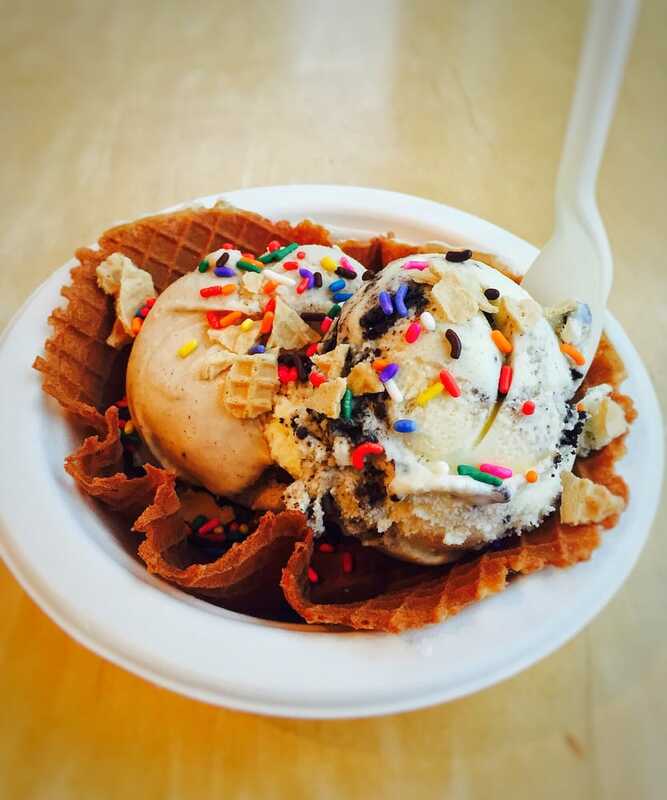 Topping our list is Ice Cream Jubilee, over in Navy Yard. The establishment landed at the number one spot with a 4.5 stars out of 412 Yelp reviews. You can find it at 301 Water St. SE. The creamery has a menu that boasts both year-round and seasonal flavors. Fan favorites include Marionberry, Peanut Butter Chocolate, Strawberry Tres Leches, Double Stout Caramel, and Cookies and Cookie Dough, which is Ice Cream Jubilee’s best-selling flavor that combines Oreo cookies with homemade egg-less chocolate chip cookie dough. Next on our list is Adams Morgan’s Pleasant Pops Farmhouse Market & Cafe, at 1781 Florida Ave. NW. It also has a 4.5 star Yelp rating out of 301 reviews. 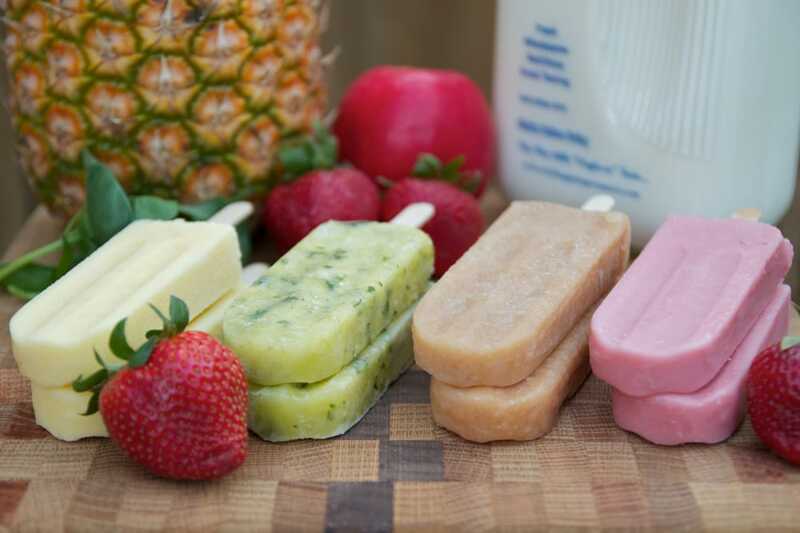 The shop specializes in popsicles, some of which are dairy-free. Strawberry Ginger Lemonade is a popular warm-weather flavor, as is the Blueberry Honey Yogurt. If you’re looking for something less fruity, try the Mexican Chocolate or the Cookies and Cream. 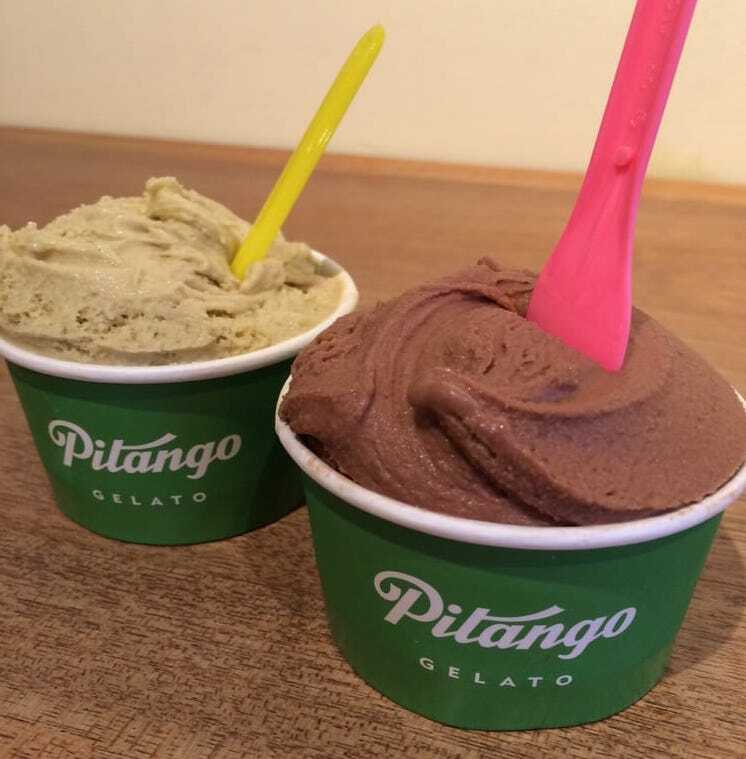 Pitango Gelato, located in Penn Quarter, has a 4-star rating and 751 Yelp reviews, placing it at number three on our list. It’s located at 413 7th St. NW. The eatery has a long list of both gelato and sorbet offerings, as well as coffee drinks and pastries. If you’re craving gelato, consider the Chocolate Hazelnut Gianduja, the Creme Fraiche or the Pistachio. If you’re leaning towards sorbet, try the White Grapefruit, the Passion Fruit or the Mojito. Representing the U Street Corridor is Jeni’s Splendid Ice Creams, which is located at 1925 14th St. NW. Jeni’s made our list with a 4.5 rating and 167 reviews. 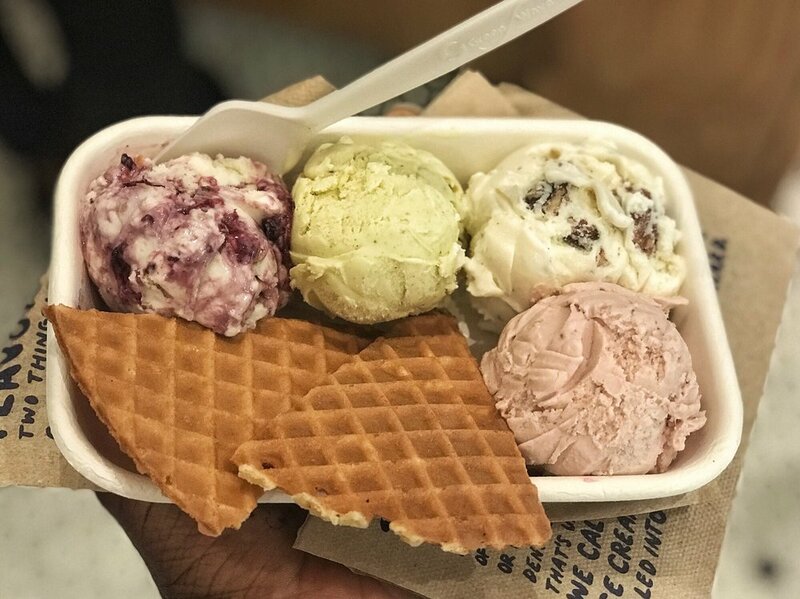 Jeni’s’ has so many great flavors to choose from, but patrons have an affinity for the Ricotta Toast with Red Berry Geranium Jam, the Green Mint Chip, and the Middle West Whiskey & Pecans. If you can’t decide what to get, remember you can order pints to take home with you. Snagging the final spot in our top-five list is Dolci Gelati Cafe, which is located in Shaw at 1420 8th St. NW. It has a 4.5 rating and 145 Yelp reviews. What makes the place so popular? Definitely its gelato and sorbet offerings, but also its pastry case full of freshly baked Italian desserts, its mini-gelato pops and its ice cream sandwiches, made with homemade cookies.